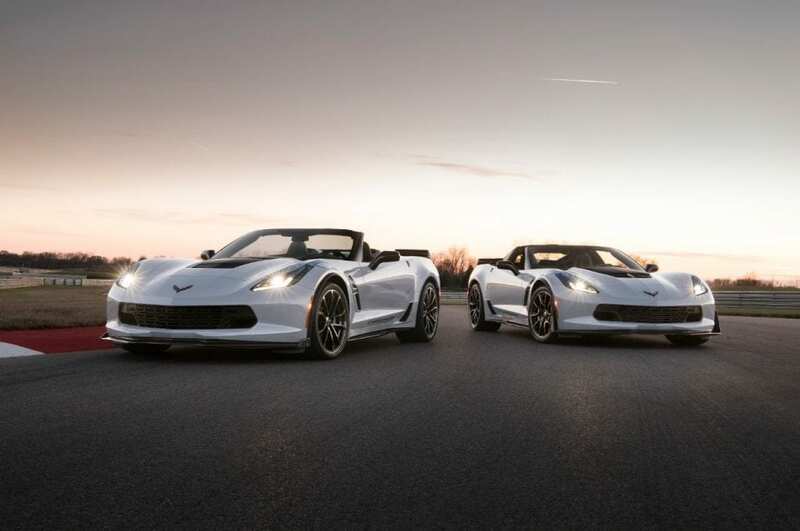 The Chevrolet Corvette Celebrates its 65th Anniversary! Chevrolet’s iconic sports car the Corvette is hitting a milestone as in 2018 it will officially be 65 years since 1st Chevrolet Corvette rolled off the factory lot. Standard protocol for big birthdays or anniversaries is that something special has to be done and for that, Chevrolet has spared no expense. So what does Chevy have planned for the Corvette’s milestone? They are creating a special, limited run edition of the 2018 model Corvette with a unique carbon fiber-body. First a little bit of history: the first Corvette Chevrolet ever produced rolled off their Flint, Michigan factory in June 30, 1953. At the time the 300 Corvettes built in 1953 were white with a red upholstery. In an effort to honor the original Corvette, the carbon fiber-heavy 65th anniversary edition will be styled in the red/white design. Chevy’s press release says that there will be 650 of these special Corvette Carbon 65 Edition cars when they become available to the public. Ok so it’s got a new body and a fresh coat of paint…what else? The special edition package is notable for using that vehicular miracle material, carbon fiber, INSIDE and OUTSIDE. The new Corvette’s rear spoiler and quarter ducts are all made form 100%made from carbon fiber, and they’ve even added accents in a new color Chevy calls “Ceramic Matrix Gray.” That shade is an update of the original Sterling Blue in the Corvette color palette. You will see a special nameplate that indicates that you are the proud owner of the 65 Edition in addition to unique fender stripes and door graphics. You’ll even have exclusive blue brake calipers, or black, machine-finish wheels with special center caps. On the inside you have specially decorated kick plates. You’ll grip a carbon-rimmed steering and sit comfortably in Competition Sport seats finished in Jet Black suede. The Carbon 65 Edition can be ordered on 2018 Grand Sport or Z06 cars, coupe or convertible. As per their press release, Chevrolet offered no exact release dates but said the car will be out summer 2017 onwards, at a cost of $15,000 on top of the MSRP for Corvette. In the meantime during auto show season, Chevrolet even announced interesting updates on the 2018 Corvette. The will now use ceramic brakes on the Grand Sport standard without the Z07 Performance Package. There will be Magnetic Ride Control on the Stingray as standard too. New Corvette buyers will also find all new wheel choices available to them. At age 65 the Corvette should be eligible for retirement benefits but it seems the nameplate is not even close to being done with its work on automotive culture. This new anniversary addition and trim honors the prestigious history of one of the greatest American cars of all time while driving it into the future. Tell us what you think? Should the 65th anniversary Corvette been a little less “blast from the past” nostalgic or “back to the future” modern?